Serving Minneapolis, St. Paul and the entire metro area. 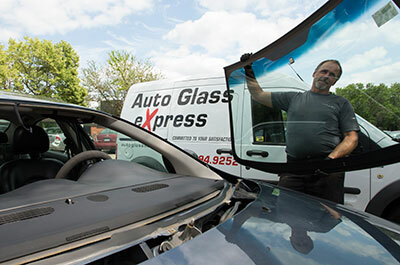 Auto Glass Express offers auto glass replacement and repair services for all car makes and models. Along with expert service, Auto Glass Express also offers a lifetime warranty on all repairs for as long as you own your vehicle and our Mobile Glass Service unit covers the entire Minneapolis and St. Paul metro area. Even a small windshield chip can quickly spider and turn into a dangerous problem. Don't take that risk. Get in touch with us for a quote. If you decide to move forward with our service, we will work with you to arrange for the repairs to be done in the most convenient way possible. If you are making a glass claim with your insurance company, let us know and we can handle the claim for you. For those in the Minneapolis area, call 612-379-9193. For those in the St. Paul area, call 651-494-9252. You can also make a repair service appointment online. Can Scratched Auto Glass be Fixed? How is Auto Glass Made? What Size Windshield Wipers Do I Need? What is the Average Windshield Replacement Cost? Can I Drive Immediately After My Windshield is Replaced? How Insurance Will Cover The Cost of Your New Windshield? Crack in Windshield: What Do You Do Next? Will My Insurance Pay for My Windshield? Can I Repair A Windshield Chip Myself?